We all have secrets: emotions, people and occurrences that change our minds and affect our thoughts and conducts. They have grown over years and are rooted in the past quite often. What do we reveal about our personality, whom do we give insights, which parts are kept in hiding? SECRETS is album no. 9 of the electronic underground music pioneers X MARKS THE PEDWALK. Mastermind Sevren Ni-Arb and singer Estefanía produced an emotional and multifarious listening experience again! 9 fascinating Electro-Tracks are waiting to be discovered. Everyone will find a hidden part of personality in SECRETS! Warm analog synthesizers, pulsating sequencer sounds and powerful rhythms give a retro-touch to the music but keep it new again, modern and unique. Detailed arrangements and creative variety of sounds are surrounded by catchy melodies and together with the voices of Sevren and Estefanía create an intensive atmosphere. From the driving „Masterpiece “ and “Photomatique” to the gloomy melancholic “Ghost” and “Breathe”, from the hymnal „One Time“ to the monumental „Crankmachine“ X MARKS THE PEDWALK spread out their distinctive dramaturgy of sound – touching und thrilling! Wer perfekt produzierten, eingängigen Electro-Pop sucht, wird bei “Secrets” fündig. In der Tat ein „Masterpiece“! 9/10 „Secrets“ ist eine Empfehlung für Tanzwütige und Home-Listeners! … die perfekte Balance zwischen anschmiegsamer Klangstruktur und innovativem Songwriting… Hier stimmt jede Note, jeder Schlag der Bass-Drum und jedes eingestreute Geräusch. 9/10 … in dem Einheitsbrei des heutigen Electro-Establishments ein absolutes Ausrufezeichen. Mit dem neuen Werk setzen sie sich ein weiteres Denkmal. 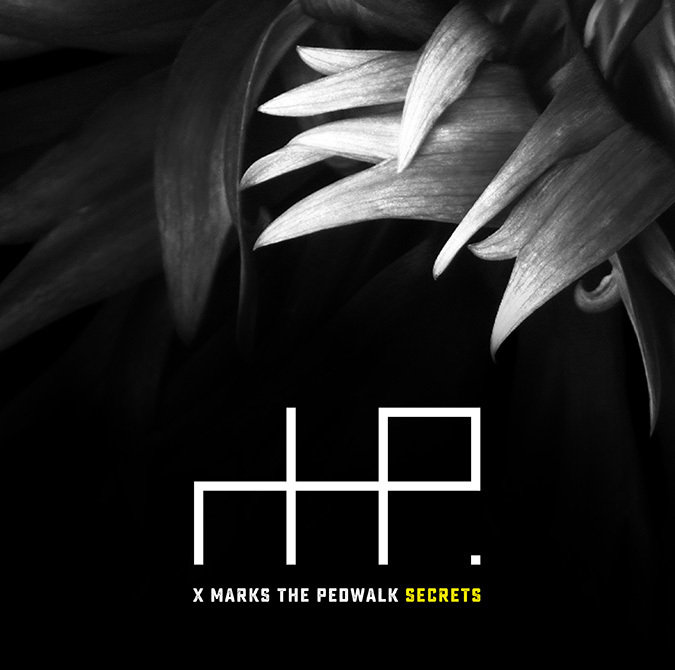 Mit „Secrets“ erfüllen X Marks The Pedwalk alle Erwartungen und veröffentlichen ein ausgeklügeltes, interessantes Album.